He had displayed many of the common symptoms of leukaemia – bruising, lethargy, loss of appetite – but unless you know the symptoms of leukaemia, you’re not really looking for them. And, because Ethan and Kai are identical twins, we even noticed that he started to look very different to his brother. His face was very puffy and swollen. The doctor admitted Ethan to A&E at the local hospital straight away. As soon as the doctors saw him, we were told it may be leukaemia and that he would need some tests. The next morning, Ethan had a bone marrow test and the doctors confirmed his condition. He had acute lymphoblastic leukaemia. As his condition was so advanced, Ethan was given the strongest, most intensive level of treatment over three years. Because Ethan and Kai are identical twins, Kai was at high risk of developing leukaemia, so he was tested there and then. Thankfully, the test showed negative, but he continued to be tested every two, four, six and then eight weeks in the first year of Ethan’s diagnosis. We were practically living at the hospital during Ethan’s treatment, which was really difficult. I had to give up my job – just one chemotherapy session could last eight hours. As well as the twins, there was also my other son and stepson at home, and it affected the whole family. Then, nearly one year after Ethan’s initial diagnosis, Kai was diagnosed with leukaemia during a regular check up. We were devastated. The first year of testing is when Kai was at the highest risk of developing leukaemia, and we were so close to getting past this hurdle. We couldn’t believe that another child had to be put through such harsh and gruelling treatment. It’s bad enough making horrible decisions for one child to go through the treatment to make them better, let alone for a second child. 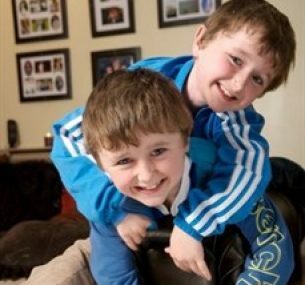 Ethan and Kai needed three years of chemotherapy. They were both quite young, so it was difficult to explain to them what was happening when they asked why we were in hospital. 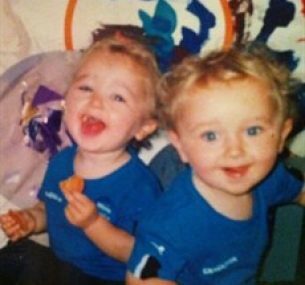 Being at the hospital and going through the treatment became part of their childhood – their first word was ‘wigglies’, which was what they called their treatment tubes. Thankfully, neither of my boys has shown any sign of side effects from the treatment. Their appetite suffered whilst they were going through chemotherapy as they were given artificial food through a tube, but this is quite normal. They may be a little shorter than other boys their age, but overall, they are both now fine. Today, Ethan and Kai are typical boys. They love football and playing computer games and it’s a madhouse at home! Leukaemia is a horrible disease. It is such a difficult thing to see your children go through. We met so many inspirational families on our journey and it’s nice to be able to share our story and hopefully help others who are going through what we did. Ethan and Kai have now been officially discharged from the oncology department at the hospital but still need to have yearly check ups with the nurse. They celebrated their 11th birthday in February 2015. Obviously the party was football-orientated. They had 10 of their school friends and had burgers, pizza and hot dogs. What more could a lad want? I also surprised them with a day out at the Harry Potter studios – but I think me and Luke were more excited. 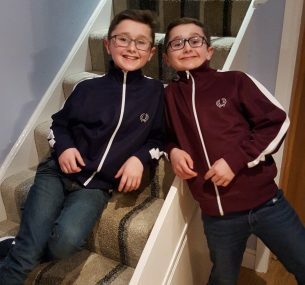 The boys are due to go on a school residential trip this May. It will be their first trip alone. They are going over to Normandy in France as part of the 100 years’ anniversary of the war. They are both very much looking forward to that… no mum for five days! 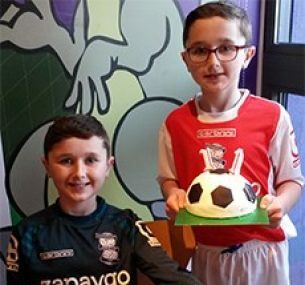 Ethan and Kai were treated at Birmingham Children’s Hospital. In August 2013, thanks to your support, we provided funding of £1 million to help the hospital build a new cancer unit as part of their Cancer Centre Appeal. Ethan and Kai are doing really well. They have just celebrated their 13th birthday which is fantastic. They are now officially teenagers and definitely have the teenage moods to suit. They are currently in Year 8 at school; they just had their school reports which had lots of As and Bs. They are due to pick their options soon. Both of them love history and it’s a subject that is on the list. They still attend the Birmingham Children’s hospital for their check-ups which are now once a year. They are seen by a transition nurse who is really good. 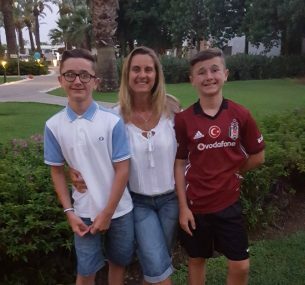 She speaks to them as young adults now, talking about becoming teenagers, their moods and their aspirations but also talking about what they understand about the leukaemia they had. She stresses to them about the importance of staying healthy and looking after themselves. They still love their football and are regulars in their school team. They enjoy doing other sports as well. They both represented their school in table tennis and got to the county semi-finals. Ethan and Kai are approaching their 14th birthday; I can’t believe how quickly time goes. We are all looking forward to Christmas, Ethan and Kai are secretly excited about seeing what gifts they will be getting. They recently came to the children’s hospital for their yearly check-up and they had to have heart scans this time as the chemotherapy that they had can have an impact on their heart function. Thankfully everything was okay and they won’t need another heart scan now for three years. Both boys gave up their football career; Kai is now a keen boxer who is part of a squad and is hoping that he will have his first professional fight in February next year (2018). Ethan still plays football and table tennis for the school team and loves his Xbox like every other teenager. We are all doing very well; as a family we have had a wonderful year and long may it continue.